Polling Vs. Research: What’s the Difference? Spherion Staffing Services 2015 World-Class Franchise® Video. Express Oil Change & Tire Engineers Certified as a World-Class Franchise for 2015! 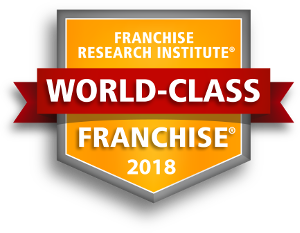 The Franchise Research Institute was founded in 2002 to study and promote excellence in franchising, performing franchisee satisfaction research throughout the U.S. and internationally. World-Class Franchise® opportunities must demonstrate that they are endorsed by their franchise owners through FRI’s scientific, confidential, third-party surveys.